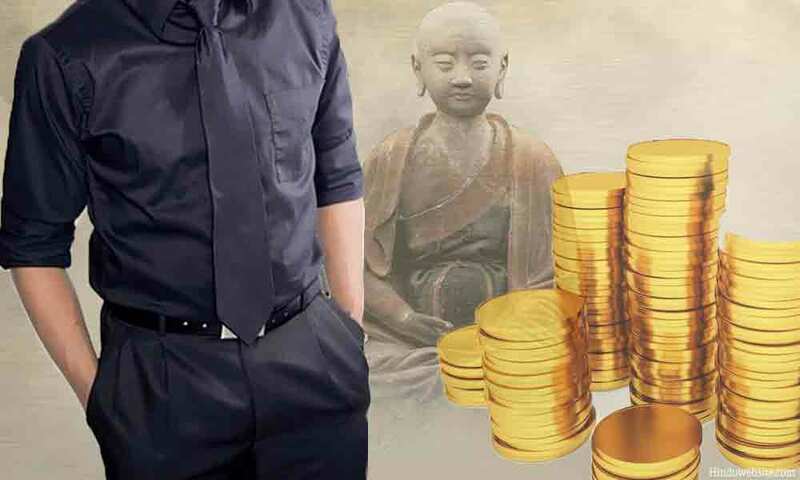 Source: This essay is about catching wealth or creating wealth from the abundance of life using ten important principles of wealth creation. From a purely individual perspective, wealth creation is a transformative process which involves wealth catching and wealth preservation. Wealth catching means drawing wealth from the abundance of the world and saving it for future use. In many ways it is similar to fishing. In fishing you catch fish from flowing water or from a water body such as pond or lake or ocean. In wealth catching, you earn wealth from the world or the pond of life and it put it in your treasure chest or personal savings. There are three elements or aspects to wealth catching namely, earning, spending and saving. Your wealth is created when you master these three. Imagine a person who earns a million dollars a year but spend a million and half. Compare him to another who earns just a hundred thousand but saves just 20%. Who has better net worth and who will have peace of mind and the possibility of happy retirement? There is no magic here or divine providence. It is simple math. You either earn more than what you spend or you spend less than what you earn. These are the only two major options we have in the financial world to create surplus wealth. Once, you create it, you must invest wisely so that it grows and is preserved rather than lost or stolen. Some people earn a lot of money in their lifetime, but fail to preserve it or convert it into wealth or assets. You might have seen many people who led great lives, but suffered in the old age due to lack of regular income. Their earnings or income does not transform into wealth. They are like fishermen who catch fish with a broken net. A lot of their income flows out through carelessness and costly mistakes. Wealth does not always flow uniformly. Life has its own ups and downs. It is just like rains. When wealth rains, catch as much as you can and save it, so that when there is drought you are not at the mercy of others or chance. Everyone cannot be a millionaire or a billionaire, but by living within your means and balancing your earnings and spending, you can slowly build wealth and protect yourself from the uncertainties of life. Here are ten important principles that govern the transformative process of wealth creation and lead to balance, peace and prosperity. Of them, the first four pertain to earning, the next three, to spending and the last three, to saving. Each of them is important. When you put them to practice, you will lay the foundation for a prosperous life, upon which you can hope to create wealth and build your net worth. 1. Use the right means: In your search for wealth, it is better to be on the right side of things. Those who abandon virtue or resort to questionable means or devious shortcuts may accumulate wealth but do not experience true happiness. Someday, they will face the consequences. The right approach is the one in which you do not hurt, do not deceive or mislead, do not steal, do not take what does not belong to you, and do not take an advantage of others. 2. Know how to transform your energy into wealth: Wealth is a form of energy only. To earn it you have to invest your physical and mental energies. You should find ways and means to make the best use of your natural talents, abilities, intelligence, strength, courage, skills, time, etc., which are inherent to you, and transform them into material wealth through hard work, dedication, determination, concentration and commitment. This is the alchemy of life. 3. Focus on personal development: Since you are the source of your success and wealth, you can increase your potential to earn wealth by making yourself more capable and effective through self-development. Develop the necessary skills, knowledge, expertise, qualities, judgment and competence to improve your chances of achieving success in life. At the same time, overcome your negative attitudes and self-destructive tendencies which may sabotage your chances or interfere with your goals. 4. Do not let go of opportunities: Chance plays an important role in our lives. Although we may take credit for our successes and achievements, most of them become possible because of chance only. Once you miss an opportunity, it may not repeat again, or even if it does the circumstances may be different. Besides, some opportunities are time bound. If you do not act in time, you will not be able to use them, even if they are present. Therefore, seize right moments and make use of the opportunities that come your way. Chose the right one, using your discretion. It can be a relationship, job offer, business deal, investment opportunity, proposal or promise, which can make a big difference to your success, wealth or career. 5. Live within your means: If your aim is to accumulate wealth, this is the most important principle to follow. To live within your means, you have to create a budget and follow it to control your expenses. Secondly, you must look for ways to improve your income by doing an additional job in your spare time or wisely investing your savings for predictable returns. Most importantly, you should avoid borrowing money or overusing your credit cards or investing your money in risky ventures. By such measures, your savings will gradually accumulate and increase your wealth. 6. Avoid wasteful expenditure: Your expenditure grows, just as your income grows and your living standards and lifestyle improve. Many people lose control of their expenditure when their income grows and they become accustomed to a few luxuries. When it comes to spending, you should subject your decision to two important criteria namely, whether it is necessary and whether it is reasonable. Make informed purchasing decisions to save money wherever possible, using the Internet and other sources to search for best deals, coupon codes, discount sales and special offers. 7. Enjoy your life: The true joy of life lies in simple pleasures. You can enjoy life in numerous ways, without having to waste a fortune on expensive vacations, extravagant luxuries or expensive items. A simple way to do it is by keeping yourself in good health, by being in the present and by paying attention. You can also go to a nearby scenic place or park to spend quite moments or enjoy a picnic or party. Rather than going to an expensive restaurant, you can cook tasty dishes at home and enjoy them. 8. Plan for your future: As you age, you will have limitations of what you can or cannot do. Therefore, when it comes to income and expenditure, you should always keep an eye on your future and plan accordingly. Studies show that people who postpone expensive enjoyments and luxuries early in the life stand a better chance to enjoy them later when they reach a certain stage in their career or profession. It is better to postpone such enjoyments for later in life, when you have sufficient wealth and do not have to worry about your future or your survival. 9. Strive for balance: In their search for wealth and success, some people become greedy and forget the basic human values. If you want to enjoy the fruit of your hard work or the wealth you earn, you must not lose the basic human values or the importance of moderation. Aim for balance in life, avoiding the extremes. Try to include others in your success, who contribute to it, by acknowledging and appreciating their help and by helping them and empowering them wherever possible. Keep your promises to build trust and cooperation. Reward people for their services so that they do not feel as if they are used or manipulated for your personal gains. 10. Be grateful: You are largely responsible for your success. However, many external factors also contribute to it, especially the cooperation and help you receive from countless people. Your relationship with the world starts from your parents who give birth to you and who take care of you in your early life, followed by your teachers and elders who teach you valuable lessons, your friends, family, colleagues and others who teach you the value of life, relationships, career, character, trust, integrity and so on. Chance also plays a major role in shaping your life. Therefore, be humble and show humility and gratitude for whatever that happens in your life. Consider that all negative experiences are opportunities to learn and grow. There is no magic to earn wealth. While it is true that your thoughts have the power to influence your actions and manifest their outcomes, it does not magically happen the way many people try to convince you. Dedicated, concentrated, self-willed, determined, self-directed effort is still important. You are the connecting link between your though and your reality. You can let the world or chance control your life and actions, or you can use your knowledge, resources and intelligence to realize your goals according to the blessings and opportunities life presents to you.